It’s Monday, What Are You Reading? is hosted by Kathryn at The Book Date, and adapted by Kellee at Unleashing Readers and Jen at Teach Mentor Texts with a children’s/YA focus. The Sunday Post is hosted by The Caffeinated Book Reviewer. These weekly roundups are a great way to discover new blogs and bloggers, share titles, and add to your ever-growing to-read list. Hot…hot hot hot hot hot….It has been HOT. It was 30 degrees yesterday. THIRTY DEGREES. (That’s 86 degrees for you Yankees). Sure, compared to the East Coast heat wave that might not sound all that impressive (actually I was surprised when I did the conversion,it feels so much hotter than a measly little 86 degrees…. ), but here in the air conditioning-less Pacific Northwest, 30 is HOT. OK, weather-related rant over and done with, on to the books! Shared some ways to use Shaun Tan’s wonderfully weird picture book Rules of Summer in a class or library group setting. Talked about some of my favourite book settings, and completely forgot to mention others (I blame it on my melting brain….). 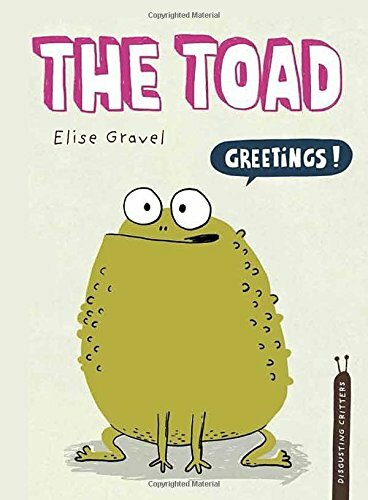 I participated in another edition of Nonfiction Wednesday, talking about The Toad, another edition in one of my favourite nonfiction series for young reader, Elise Gravel’s Disgusting Critters! I co-hosted another Diverse Kids Lit roundup – be sure to check it out for some fantastic titles and inspiring posts! 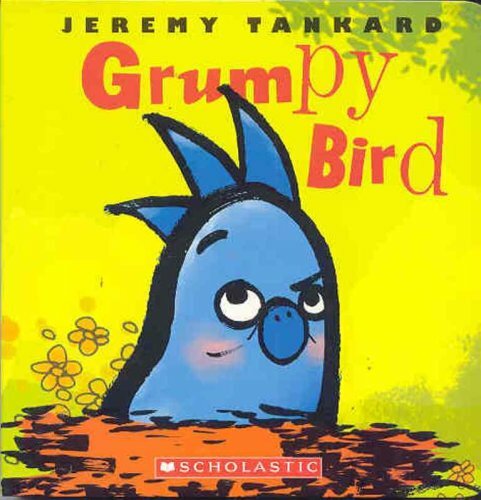 My British Columbia-based Reading Staycation experience continues with one of my favourite story time books, the very funny Grumpy Bird by Vancouver-based Jeremy Tankard. Who can’t relate to this grumpy bird who wakes up on the wrong side of the bed? 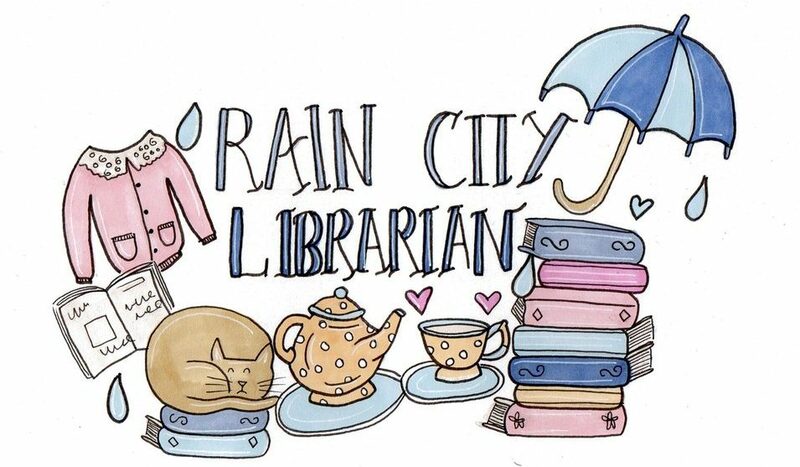 I shook my Reading Staycation series up a bit with an interview with the fantastic, super-talented and super-duper nice Vancouver-based illustrator Dawn Lo. I love being able to support local, independent artists and creative entrepreneurs – the artistic life is a rewarding one, but it can also be pretty challenging, so let’s all support each other! 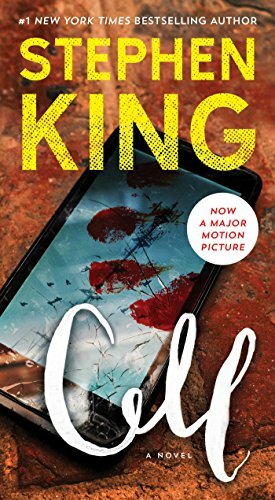 From international bestseller Stephen King, a high-concept, ingenious and terrifying story about the mayhem unleashed when a pulse from a mysterious source transforms all cell phone users into homicidal maniacs. There’s a reason cell rhymes with hell. So, there’s my week in a nutshell! Hope everyone has been having an AMAZING week – stay cool and hydrated everybody (unless you’re in the Southern Hemisphere, you lucky duckies)! This entry was posted in Uncategorized and tagged Dawn Lo, Diverse, Elise Gravel, Grumpy Bird, Monday, Rules of Summer, Shaun Tan, Stephen King, The Book Wars, The Cell, The Toad, Top Ten Tuesday. Bookmark the permalink. Hot indeed! I am not a fan. I like cool breezes, the promise of rain and forest walks. This hot weather is not for me! I am so pleased that Gravel is continuing to publish these titles. Hope there are more! Hope your area cools off! Well, we’re really a bunch of complainers here in the Pacific Northwest (I place myself firmly at the head of the whining committee! ), especially compared to the weather everyone else is experiencing! My partner has been out to NYC and Toronto in the summer a few times for work recently, and boy has that been a weather shock!!! Rules of Summer really is an insane book, it’s pretty awesome, definitely worth a look! I love Shaun Tan, his work is very unique. I have used his books from time to time in my classroom. I hope you enjoy Stephen King’s novel Cell. I used to be a big fan but lately have had trouble connecting to his newer novels. Hope you manage to stay cool. It’s rain over here in Australia as we are getting to the end of our winter. Happy reading! Hot here in Denver too, but cooler later in the week, Jane. Maybe it’ll be all the way north, too! Thanks for sharing all your reading, much new to me. I loved Rules of Summer. Yup – Hot. My partner and I were talking about heading off to Oliver BC where we have a house and air conditioning! We love to spend long days tubing down the river to keep cool. I will have to get my hands on Rules of Summer. Yes, definitely check out Rules of Summer, it’s very, very weird, but beautiful, too. Our car doesn’t have air conditioning, which really isn’t a problem for 48 weeks out of the year, but boy oh boy there are days….! So true! Kids often amaze me with their imaginations and their creativity. I am ashamed to admit that I haven’t had Shaun Tan on my radar since Tales from Outer Suburbia, bought for my own teens; thanks for refreshing my memory. Two more books added to my shopping list! A lot of great books here! Thank you for introducing them to me! I can’t help but comment on the heat. I am nine months pregnant, so I totally get it! Rules of Summer is an absolute favourite – I don’t think Shaun Tan can do wrong in my eyes, ever. Loved seeing the new Stephen King novel too, interesting premise indeed.